At peninsula offers the most reliable teeth replacement is one or all your teeth are missing or needs to be removed. We provide the finest quality dentures – either complete or partial that appear so natural and real. With our team of experts, there is no need to take risks as we guarantee we only make dentures that offers comfort and perfect fit. As one of the leaders in the industry of dental prosthetics, we are aware that there are tons of ways to replace missing or extracted teeth. Some of these methods include bridges and dental implants that may not be suitable in every instance. At our dental laboratory, we give you the best advice on each option. We discuss the advantages and disadvantages, the suitability as well as the cost involved. There is no doubt about the cosmetic value of having dentures to fill in missing teeth. It is one dental product that makes every patient feel confident about how they look. Plus, cosmetic dentures also work by replacing teeth in poor condition, avoiding further shifting of all teeth that remains as well as supporting the integrity of facial structures. Generally, dentures come in three general types: economy, traditional and cosmetic dentures. Out of all these, cosmetic dentures are the most recommended type. Despite the fact that these are more costly, the wearer will surely experience excellent function, fit and aesthetics making it worth the added cost. In fact, wearing our cosmetic dentures is almost similar to having a facelif. Peninsula dental prosthetists and technicians possess extensive knowledge of the relationship between the teeth, muscles and bones to come up with superior dental restorations that improve not only the appearance, but also the overall function of all the oral structures. Due to the fact that dentures fitting rely primarily on the action of muscles, obtaining relaxed and stable muscles instantly leads to enhanced fit.imps2The highest point of facial support corresponds to the point of greatest muscle function. Dentures that fit in this fashion can restore facial proportion and youthful appearance. You may have seen someone whose face sinks in when the dentures are removed. This is because their facial structure no longer has the support provided by dentures or teeth. Thus, the facial proportions are greatly affected leading to that “sunken face appearance. No worries, our professional team are highly skilled and trained in making cosmetic dentures. 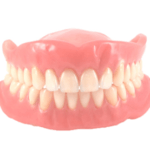 We can guarantee the right denture size, resulting to dentures that are highly functional and comfortable to wear. The catch is you could look decades younger since we meticulously make cosmetic dentures to match your facial proportions. Looking for a dental clinic on the Mornington Peninsula that can determine whether Cosmetic Dentures are a suitable choice for your teeth? Contact us today on (03) 5981 2255 or book online peninsuladentalcare.com.au for a consult so that we can assess your suitability.